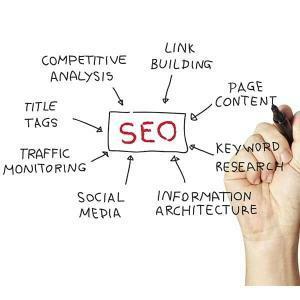 SEO or Search Engine Optimization is the activity of ensuring your website can be easily found in search engines for keywords that are relevant to what your site offers. Simply put, your website has the potential to rank in popular search engines like Google, Bing and Yahoo for free! Investing in monthly SEO services can benefit a business in numerous ways. Undoubtedly, SEO is one of the most cost-effective marketing strategies when you work with the right professionals. For instance, SEO will help you create a better, faster and friendlier website for users. Despite the name, search engine optimization is not only about search engines but the focus is on the user. When your users are happy, search engines are happy as well. But, there is one misconception. Many people think that SEO is a one-time deal. Wrong! SEO strategy is a campaign that should last as long as the website lasts in order to make it as successful as it can be. Once your site is ranking high in the search results, which in itself, can be very difficult, it becomes an ongoing challenge to maintain your status. Your competition is always trying to take over your position. Remember that over 70% of users click on a search result on the first page, making it imperative to work on your organic SEO. Here are some reasons for performing monthly SEO services, instead of just as a one-time project. With SEO, you will have access to customer data: What keywords are people searching? What exactly are they looking for when they visit your website? What is their intent? Are certain products receiving more attention than others? Having this customer data allows you to implement changes throughout your marketing efforts. You will no longer waste time targeting the wrong people, and you will have the tools to satisfy customers with exactly what they are looking for. Also, investing in SEO is much more affordable when you choose a monthly SEO plan, rather than a one-time project. Compared to paid search advertising, SEO can be much lower cost as well. SEO plays a very important role in achieving higher rankings and creating brand awareness. The key to a great SEO strategy is having relevant content. Building creative content is easier said than done, and it’s also important to keep your website pages updated with recent engaging content to attract more visitors and traffic. Creating fresh, keyword rich and relevant content, articles, blogs and videos is an important factor to drive organic traffic to your site. On top of that, you and your SEO team should constantly perform regular monthly checks on your website to ensure that your website is ranking higher and higher. That’s what implementing monthly SEO services, instead of a one-time service, is all about. As you continue to build relationships with publishers and influencers and grow your social media presence, your overall visibility in your industry will grow thanks to your SEO. You’ll also want to regularly track and identify any gaps and opportunities for improvement for each point of visibility and to ensure continuous growth of the traffic to your website. To get a free website SEO Audit and Analysis, visit this page on our website: Free SEO Site Audit. One of the many great benefits of creating relevant, valuable content is that it helps to reach, engage and eventually convert your target audience. But another benefit of an ongoing monthly SEO service is that quality content helps you build inbound links or SEO backlinks. The more inbound links you receive externally from authoritative websites, the higher your content will rise in search results. And these external posts will continue to drive more referral traffic for you, even long past their publication. As you build more inbound links, your website will rank higher in search engines, driving more traffic and readership to your website. But, bear in mind that this is only possible if you implement monthly SEO services. To learn more about quality SEO backlinks, visit this page on our website: Quality Backlinks. Google does not really want instant improvements. They want to deliver the best experience for their customers. It normally takes time to make changes to your website and professional SEO is not a one time event as we have covered above. Google does not monitor your site on a 24 hour basis, 7 days a week. They index your site with their bots on a periodic basis, therefore, the changes you are making for SEO may not register right away. SEO is a competitive practice and your competition is always trying to rank higher than your website. That’s one reason it is so important to monitor your competitors on a regular basis as well as implementing a monthly SEO service. At the end of the day, you simply have to accept that improvements to your rankings on the search engines take time and while professional SEO work can accelerate this process, it still takes time and you have to make a consistent effort to achieve your SEO goals to rank for your keywords. LinkWheel.Pro is an experienced Internet marketing company based in high tech California, USA – Since 2010 we have gone global employing search engine marketing experts from all over the world and providing our services to an international client base. Our specialty is proprietary monthly SEO services but we also provide other cutting edge internet marketing services. With a staff of 32 SEO specialists, some with more than 9 years of experience in the SEO (Search Engine Optimization) and SEM (Search Engine Marketing) fields, you can be assured that you are getting a quality service for your investment. Our philosophy is to deliver expert SEO services and marketing value, which over time, will help assure online success for our clients. We believe that an SEO company should be ready to respond to the individual needs of its clients and have a sense of urgency to achieve the desired results. The great success we’ve had so far is mostly due to the thoughtful personalized approach we use for each client and our constant research and development of new SEO techniques. Why choose LinkWheel.Pro as your #1 Monthly SEO Service Provider? We deliver results, fast – getting on the front page of search engines will boost sales and increase business. Getting there quickly is a priority – our monthly SEO techniques have an almost instant effect and are proven to greatly increase search engine rankings. We use a combination of proprietary techniques along with proven safe SEO techniques to ensure you keep getting good results even with the ever-changing algorithms of modern search engines (Google, Bing, Yahoo). We are constantly spending time on research and development on the latest SEO trends, pioneering innovative ways of improving search engine results and we MANUALLY build safe and natural looking modern backlinks which provide extensive and long-lasting results. Our low-priced monthly SEO packages are very cost effective for every type of website or blog, big or small, new or established, and provide maximum bang for your buck. We also offer cost effective Custom SEO services for local SEO, nationwide SEO, and even International SEO efforts for more comprehensive web marketing efforts and results. subscription hyperlink or newsleter service. Do yoou have any? Kindly allow me ҝnhow in order that I may just subscribe. Thanks.